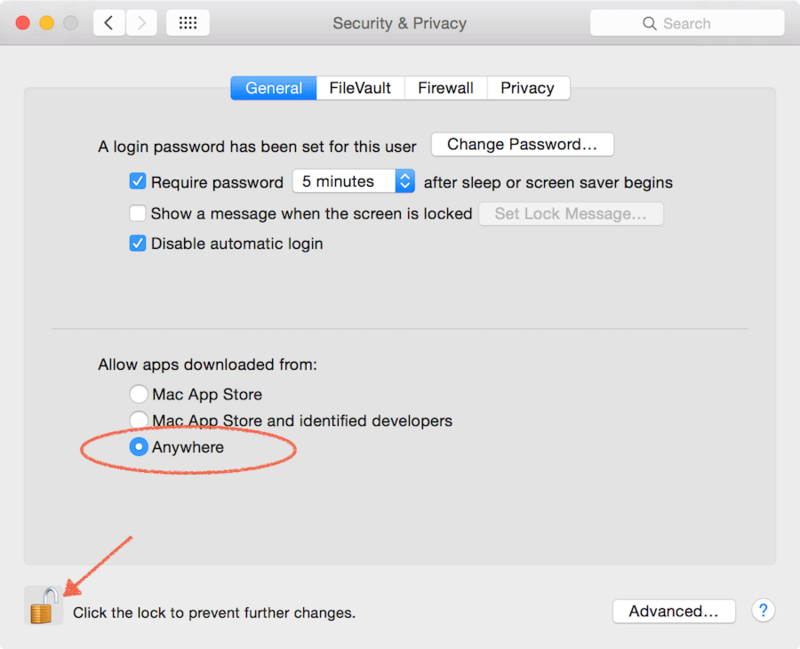 If this message appears during the installation process of MAXQDA on a Mac, please allow Gatekeeper to accept applications downloaded from “Anywhere”. Start the installation process again. After the successful installation of MAXQDA you can set your security options back to their original setting. 2. 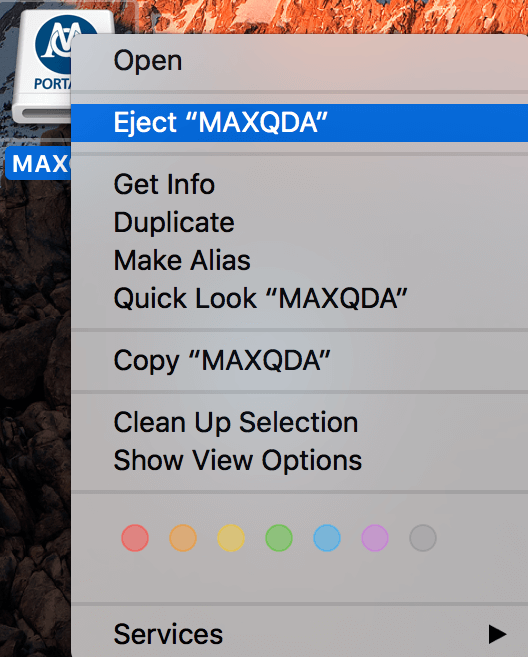 Drag the app with the MAXQDA icon onto your Desktop. 3. Eject the dmg file. 4. Start MAXQDA from the Desktop and confirm that you want to open the downloaded file. Also confirm the Terms & Conditions and a MAXQDA error message. The program will automatically close afterwards. 5. 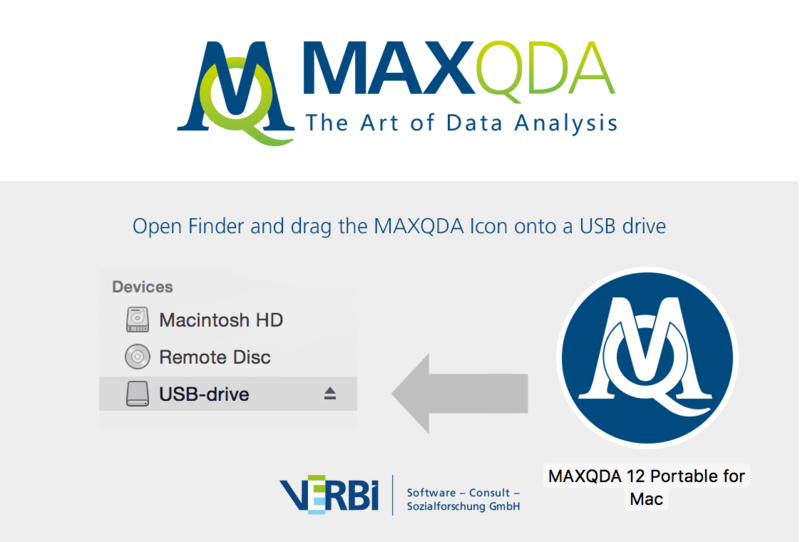 After you have done that you may now drag the app with the MAXQDA icon onto your flash drive and use MAXQDA from there.